The Turnbull government has delivered a very crowd-pleasing budget – but as usual, tourism is not directly addressed. Tourism News readers are enouraged to contact their local federal member to ask that the planned inland rail between Melbourne and Brisbane be expanded to include passengers, not just freight. The Tourism News will make submissions to various government bodies testifying that passenger rail will expand wine industries, services, cultural exports and much more inland and create models as to how coastal wealth and critical masses of visitors can be shared inland in all areas of Australia. The federal government’s $20k instant asset write off is extended for another year – so buy those computers, utes, fridges etc. and write them off if you have paid that much in tax. The Tourism and Transport Forum and the NSW Business Chamber, supposedly representing tourism, have lamented publicly that the promised inland rail between Melbourne and Brisbane will not be hooked up to the existing Sydney Trains system, whereas the real carrot for the tourism industry would be that line being passenger and freight rail. The commentators have clearly not caught a train in Sydney for a long time. If they had caught one, they’d know that the Sydney rail system is not something you want to tie a national rail system to. The current airport connection between the city of Sydney and the Kingsford Smith airport is a whopping $17 each way per passenger. As outlined in this Fairfax story by transport expert Matt O’Sullivan, the NSW government will earn $100 million from the the airport line in just the two coming years. The current Sydney Airport rail connection is not something the Federal government would want to emulate, and being that the Federal Government plans to operate the new Badgery’s Creek airport, the federal government would be making a deal with the devil to go into the rail connection business with the NSW Government at this early stage of the Badgery’s Creek airport project (delivery of airport planned for 2026). Revered Fairfax economics writer Ross Gittins has explained that criticisms of Australia’s 2017 Federal Budget are that its overly optimistic, but it is not. Gittins explained that the budget was only optimistic in its expectation that wages growth would return to trend (it’s been unfashionably low in recent years) and therefore a return to trend could not be considered odd. With the Medicare levy being increased, employers (business) won’t want to be responsible for changing their employees’ bottom line, so whilst a lot of financial hanky-panky goes on at the top end of the country’s economy, employers will actually be paying the increased medicare levy when they pay their employees the same ‘real’ wage, and real wage growth nationally has been generally positive over the last few years. (Long story short, if I receive $850 a week for my admin job in the pocket, and suddenly it was $11 less or or something, I would hate my employer for taking their tax tricks out on me, not blame the unfathomably complex, and apparently expensive, health system.) Voila, wage growth. When the Productivity Commission announced the penalty rate cut, it was estimated by detractors that around 75,000 hospitality and retail employees would be $75 worse off a week, money lost from the Sunday double time rates being reduced to time and a half, to match Saturdays’ rate. It was suggested that, given a year to anticipate a pay cut, many workers who were reliant on Sunday rates would leave the industries… potentially into nine to five jobs that, by virtue of being 38-hour weeks, are higher paid. Voila, wage growth. Considering hospitality and retail operators (the bulk of tourism employees) are considered amongst the worst paid in the country, the tourism industry is likely to be seen in five years’ time as having huge increases in wage growth. As usual, there are many millions of dollars earmarked for investment in and around tourism infrastructure – if you want to rebuild a town square or literally build a bridge, in which case your local council or state government is actually at the helm of the project. There is apparently a $472 million in a Regional Growth Fund, including $200 million for the Building Better Regions program which the government says funds projects like sports stadiums and roads, with the remaining money (at first glance) left available to go toward infrastructure projects like tourism ventures and new developments. The money is available The Building Better Regions 1st round funding program has closed with applications currently being assessed, and it is unclear if further rounds will be offered. One of the big problems for regions (i.e. places to visit i.e. tourism) is that main streets are dead… because rich investors, including MPs and foreign investors, can own upwards of 20 or 30 properties, call them investments and write off enormous amounts of tax because those properties ‘cost’ them so much money. The 2017 budget fines investors $5000 per property if they buy a house and fail to put someone in it. Commercial properties do not hold the same threat of a fine, and are arguably more important to tourism, but the Australian property market is in such a mess that any step toward regulation is a big and important one. You may not think the Snowy Mountain scheme has much to do with tourism, but there are thousands of hectares of property between NSW and Victoria that is currently being mismanaged for profit. The snowy mountain region is currently a complex entanglement of governance including national parks (actually run by states, not national at all), trusts, and commercial operators. The region is between our two biggest cities and our national capital… it should be a cash cow. The Federal Government has made a play to shore up its regional base, through major commitments to infrastructure projects designed to make living in the country easier and more prosperous. 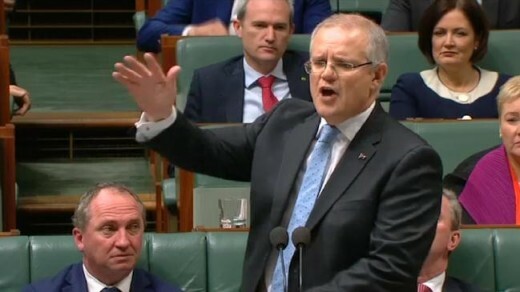 The Treasurer Scott Morrison is concerned some regional areas have been “disconnected from national growth” and wants that to change. But those already doing it tough might find this budget makes life harder thanks to a welfare crackdown. The Treasurer also flagged the Commonwealth has big plans for Snowy Hydro 2.0, such as buying the project outright from the New South Wales and Victorian state governments. Overall the government will invest $20 billion in rail projects across Australia. As revealed by the ABC, the government will invest $8.4 billion in the Australian Rail Track Corporation (ARTC) for an inland freight rail line from Melbourne to Brisbane. Given the money is framed as an ‘investment’, it stays off the budget books, making it difficult to find out when money will be spent. Additional borrowings from the ARTC will go towards a public-private partnership to build 126 kilometres of track from Toowoomba to Kagaru in south-east Queensland. Farmers will welcome such a massive contribution, given their current freights costs can be double that of international competitors. The government has established a new $10 billion National Rail Program to improve passenger rail in cities and better connect them to the bush. More reliable rail services could boost regional economies, by allowing easier access to jobs, health services and affordable housing. Of the $10 billion, Victoria gets more than $1 billion, half of which will go to projects earmarked for development in the state’s regions. The government has also allocated $20 million to states and businesses who come up with new ideas for faster regional rail connections. Is there anything besides rail in here for regional Australia? Yes, but arguably the farm sector’s biggest budget infrastructure wish hasn’t been granted. There is no new money for mobile phone blackspots. There is also no new money for regional Australia’s much maligned data drought. But the government’s push to boost regional economies in the budget includes a $472 million Regional Growth Fund. The Treasurer Scott Morrison described it as a way to “back in the plans that regional communities are making to take control of their own economic future”. Part of that money includes $200 million for the Building Better Regions Program, which funds projects like sports stadiums and roads. The remaining money in the fund could go towards infrastructure projects like tourism ventures and new developments.